"This violent attack is part of an increasing trend of attacks on WHRDs due to the failure of authorities to take effective legal actions to protect human rights activists working on the protection of indigenous communities." The Women Human Rights Defenders International Coalition (WHRDIC) condemns the attack on woman human rights defender Rani Yan Yan by security enforcement officers while visiting two sisters belonging to the minority Marma community in a hospital in Rangmati in the Chittagong Hill Tracts region. 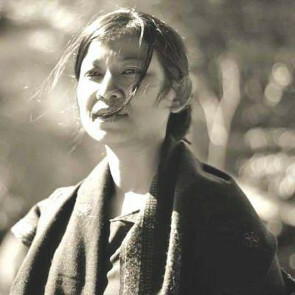 Rani Yan Yan is a woman human rights defender and the advisor of the Chakma Circle Chief. She is an alumni of the Diplomacy Training Program (DTP) at UNSW and APWLD's Feminist Legal Theory and Practice (FLTP) graduate. As a woman indigenous leader, she works for the empowerment of indigenous women, protests violence against them and regularly brings their issues in meetings in Bangladesh and in various regional and international advocacy spaces, including meetings at the UN. As the Chakma Rani (queen) and the advisor of Chakma Circle Chief she effectively advocated for the appointment of more women as the headman and carbari (who deals with traditional laws) to ensure women's rights in the traditional system. The attack on Rani Yan Yan and her companion happened on 15 February 2018, when they visited two sisters who were recovering from a sexual assault. Members of security forces arrived at Rangmati Sadar Hospital in Chittagong Division, entered the ward, switched off the lights and attacked Rani Yan Yan and her companion. Rani Yan Yan reported that prior to the attack, she had noticed that her movements in the hospital were being recorded by men using the cameras on their smartphones. The incident Yan Yan was responding to happened in 22 January 2018, when the two Marma teenage sisters from Orasori village, Farua Union, Bilaichari sub-district under Rangamati, were attacked by security forces in the middle of the night. One of the sisters was raped while the other was sexually assaulted. The two sisters were admitted to Rangamati General Hospital. The state has repeatedly failed to provide security, legal and emotional support and facilitate justice to indigenous women living in the Chittagong Hill Tracts and instead, has established a culture of impunity. The Marma sisters were denied the support and justice that they needed, what they and their family experienced following the attack, was intimidation from the security forces. They kept them under their strict surveillance that heightened their fear and insecurity. As Rani Yan Yan and volunteers had been provided the emotional support and protection to the sister they too were violently attacked as the security officials forcefully took the Marma sisters to an unknown location against their will. To date, no actions have yet been taken against the perpetrators. The Coalition notes with concern that this violent attack is part of an increasing trend of attacks on WHRDs due to the failure of authorities to take effective legal actions to protect human rights activists working on the protection of indigenous communities. Chittagong Hill Tracts Commission (CHTC) members have been repeatedly targeted with intimidation and violence for carrying out their human rights work in the region. See more at here. Bangladesh, as with many countries in the region has become a notoriously dangerous country for WHRDs defending their land, culture and livelihood. As the WHRDIC has reiterated in the past, the meaningful and committed efforts of WHRDs in Bangladesh (as in different parts of the world) in defending their most fundamental rights needs to be matched with recognition and protection, sadly what is experienced is the opposite as they work for these under extreme risk. Investigate the case of sexual violence against the two Marma sisters and take immediate actions to bring the perpetrators to justice in civilian court. Respect and protect human rights defenders and ensure they are able to conduct their legitimate work without fear of physical and psychological violence throughout Bangladesh.